Stevie Cruz-Martin is an award-winning cinematographer, director, photographer, and editor. Her cinematography has been selected in 35 film festivals worldwide, in over 4 continents, including three at the prestigious Palm Springs International Short Film Festival. She has worked as a cinematographer on short films, documentaries and music videos all over the world. 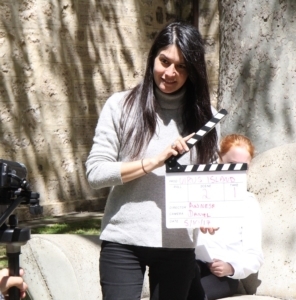 Stevie loves to share her knowledge about the art of filmmaking to Perth’s next generation of little directors, and her workshops are an energetic introduction to the secrets of the big screen.